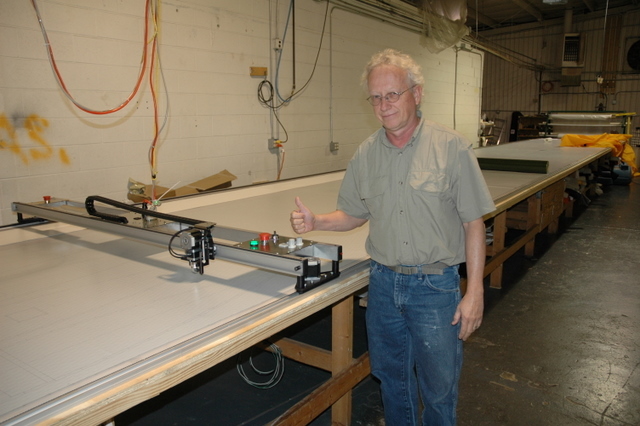 LTA projects, now on their 3rd Carlson Design plotter/cutter, has been a Carlson customer for almost 2 decades. This month we upgraded their 1999 CP101-72 to our NEW PT-78 plotter/cutter. What does that mean? 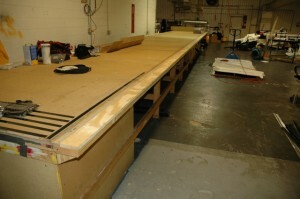 They made their table and chassis 6″ wider to accommodate 70″ wide material. Import any DXF from any CAD program (compatibility not available in late 90’s). Using USB and new PMU software – compatible with any Windows computer. 5x faster!!! 45minute plots now completed in under 9 minutes…and they are more accurate! 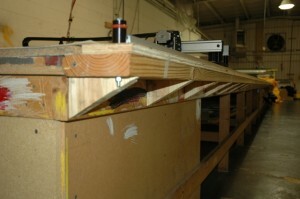 To start, LTA expanded their table width by 6″ by adding a simple 3″ wing to either table edge. 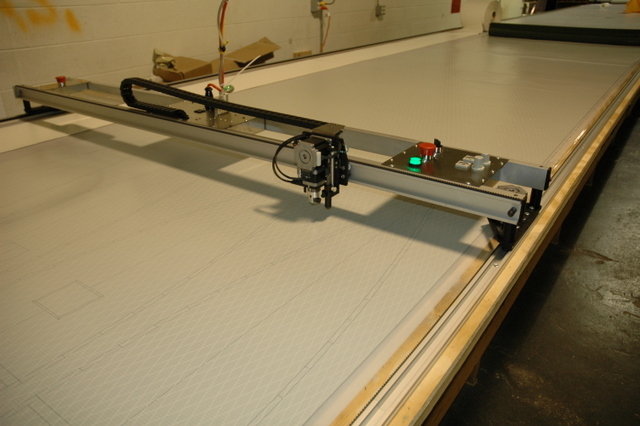 Since 2005, Carlson Design Plotter/Cutters ride on a new captive track system. This new track will mount in place of your old track, and can be switch in a day. 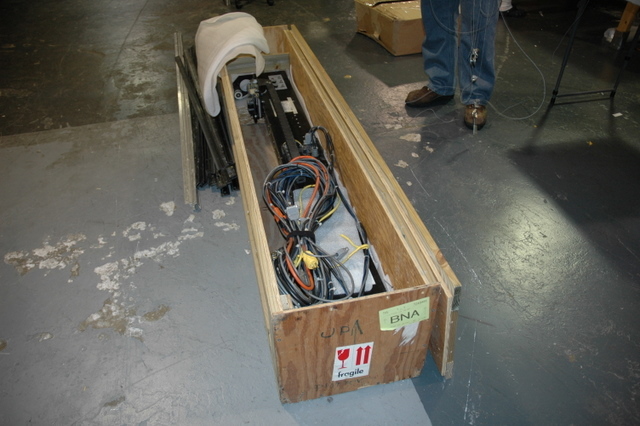 Remove old track and plotter/cutter from table. Set old plotter/cutter, track, cabling aside. Moment of silence for all it's hard work. Layout new track...follow manual instructions. 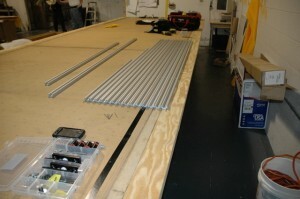 Use plotter/cutter to square track to table. Re-string new overhead cabling. 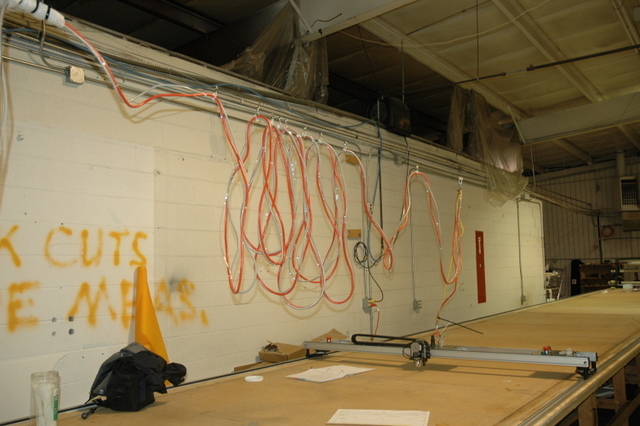 Cables ziptied to pulleys on 3/32" wire. Can also run in Echain on side of table. Place cutting surface back on table. Use mesh netting between table and cutting surface if holes do not align. Thumbs Up...you just upgraded your plotter/cutter! !